Brrrrr, it is getting a little bit chilly now. The worse part is those violence winds that just attack your face for no reason. Sometime Mother Nature can be just a raging @($*@. To everyone that knows me, know that I hate winter but yet I lived in Michigan for over 20 years and now I am living in New York City. If I hate winter so badly, how come I just didn’t move to the west coast? The answer is simple; I love winter clothes too much. I love to be able to wear my topcoats and my sweaters. Getting the perfect layering technique, which by the way is a skill. It isn’t the same when living somewhere hot year around. 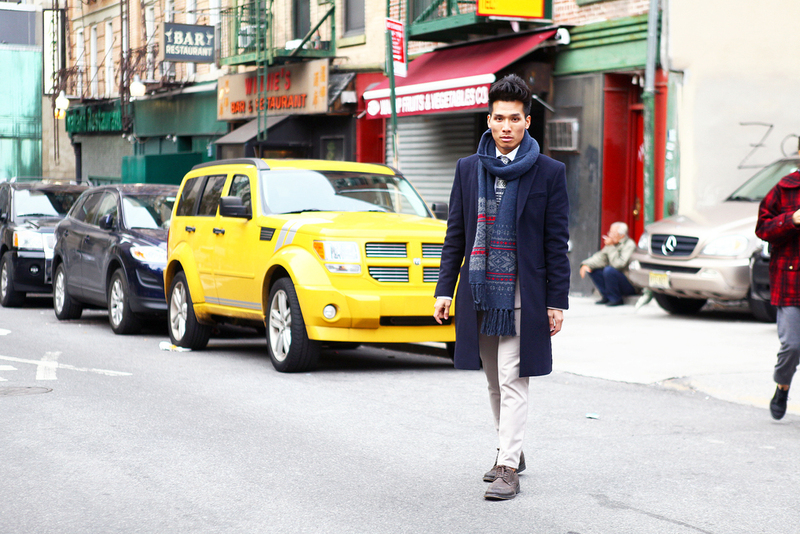 Getting back on topic, today’s post is all about the winter layering. Catering to the perfect navy topcoat I got my hands on. This cold season it is all about topcoats. When in doubt know that topcoat over everything. It is the simplest outwear that can make any looks look chic and effortless. All the versatility a clean topcoat can offer to your outfit as a whole ensemble.